We have had a very busy week and a half. 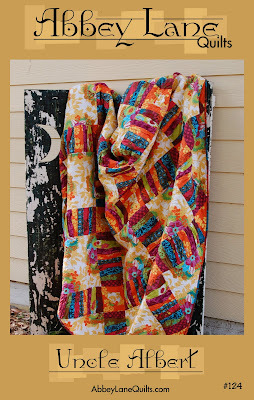 Four quilts, two magazines. 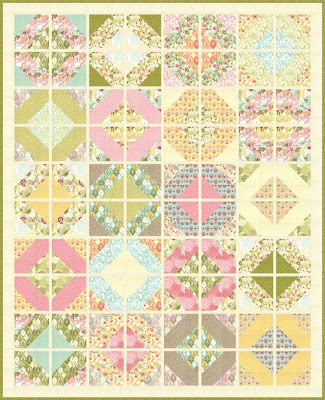 Unfortunately we can't show you the pictures, but summer will be popping with Abbey Lane Quilts. 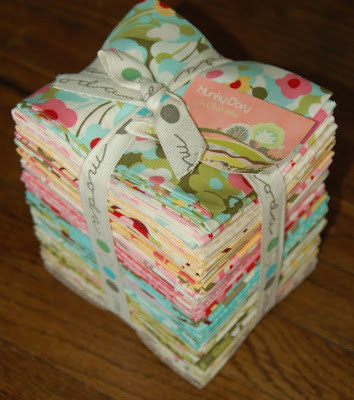 The good news, working with a great new fabric collection, HUNKY DORY, from Moda, of course. The fabric will be in the stores in March. 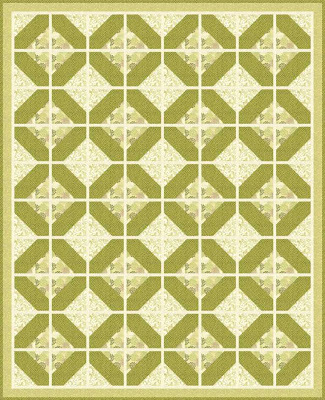 We are really excited about the new pattern, it even has a name, MAGICAL MYSTERY TOUR. 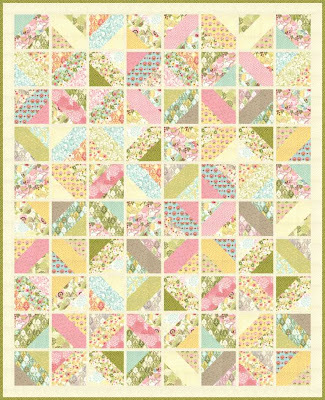 What is so cool about this pattern, is just by switching it up a little, you can make three totally different quilts from the same fabrics, and that is just exactly what we are going to do. I thought it would be fun to show you the process that we go through to create a new project. 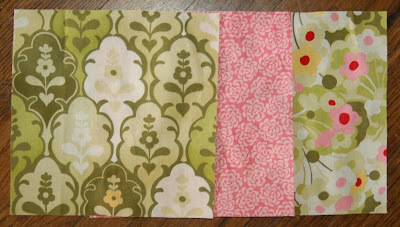 First: fell in love with the fabric at market last fall, so of course I got a fat quarter bundle. Second: had to wait all the way until February to have time to work with it. I thought it would be really fun to do a sampler of some sort, these are the drawings I ended up with. Ok, so it's not a sampler, but really cool. Third: Start playing around with the original design, and this is where the magic part comes in. One pattern, three totally different looks. 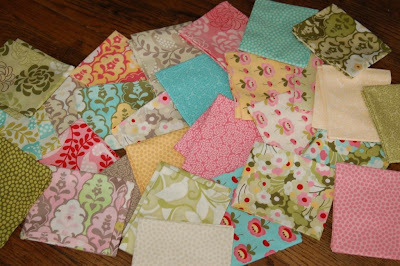 Two of them use just 20 fat quarters and some yardage. Yeah!!! Fourth: This is the fun part, arranging all the pieces into color combinations we like. 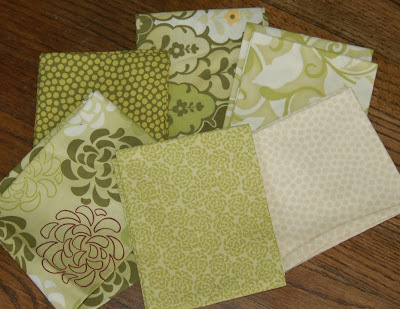 For the first quilt, each block uses three fabrics. Sometimes matching them up it not as easy as you would think but it is really fun playing around. The second quilt really mixes things up. Again, this is a magical journey. Check it out when I use just greens. That's as far as I have gotten today, but next week, I will finish have finished my MAGICAL MYSTERY JOURNEY. I can't wait to show you the rest of the construction and two finished tops. I already know it will be my new FAVORITE. 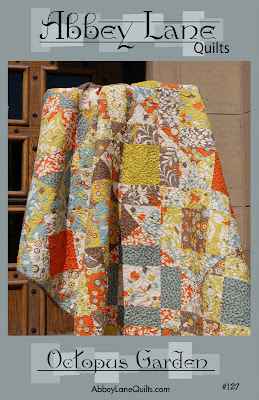 I have several other FAVORITE quilts. Quilts that like these new ones, I absolutely LOVED the fabrics. I call them oldies but goodies. Each quilt was featured at a different quilt market. They were great then, and are just as great today. 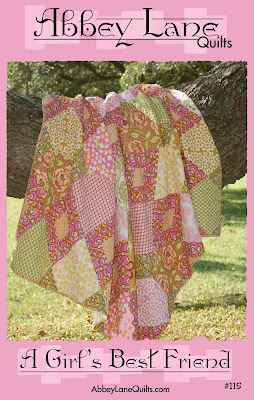 Check out these quilts on the website, http://www.abbeylanequilts.com/. It is snowing outside, which makes it a perfect day to sit inside and sew. Have a great week.